November was another busy month and a mixture of Pro and Junior events as well as some on and off court training. 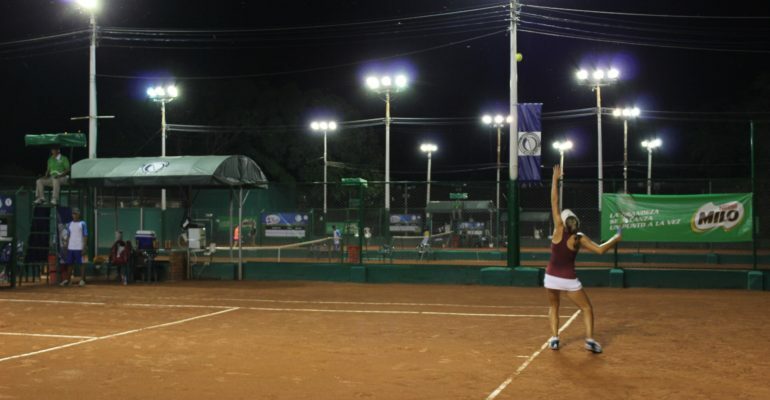 The month starte d with a $10k Women’s event on the red clay in Cucuta, Colombia. Emily adjusted well to the heat and played a couple of excellent early matches to secure a place in the quarterfinals. Here she met Maria Herazo (WR 561), a Colombian who had won the $10k event the week before. It was Emily’s first experience of a night match and despite the air being thick with irritating flying bugs; she enjoyed the experience but was unable to pull off a win against the hard-hitting left-hander who later progressed to the final. She did however enough to increase her Women’s Pro ranking up to a career high of 695. 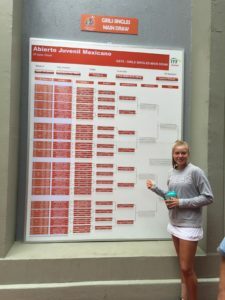 From Colombia, Emily headed to the altitude of Mexico City to try and replicate her father’s success (he won the U18s event here in 1977 having put out Ivan Lendl in both the singles and doubles). Once again, she adjusted well to the change of speed and composition of the ball (high altitude balls to counter the thin air at this elevation) and played her way into the quarterfinals, where she met the American, Claire Lui, who played well to secure the win. This was however, Emily’s best performance to date in a Grade A event and secured her a career high ranking of 21 in the World Juniors and the coveted number 1 position in Great Britain. 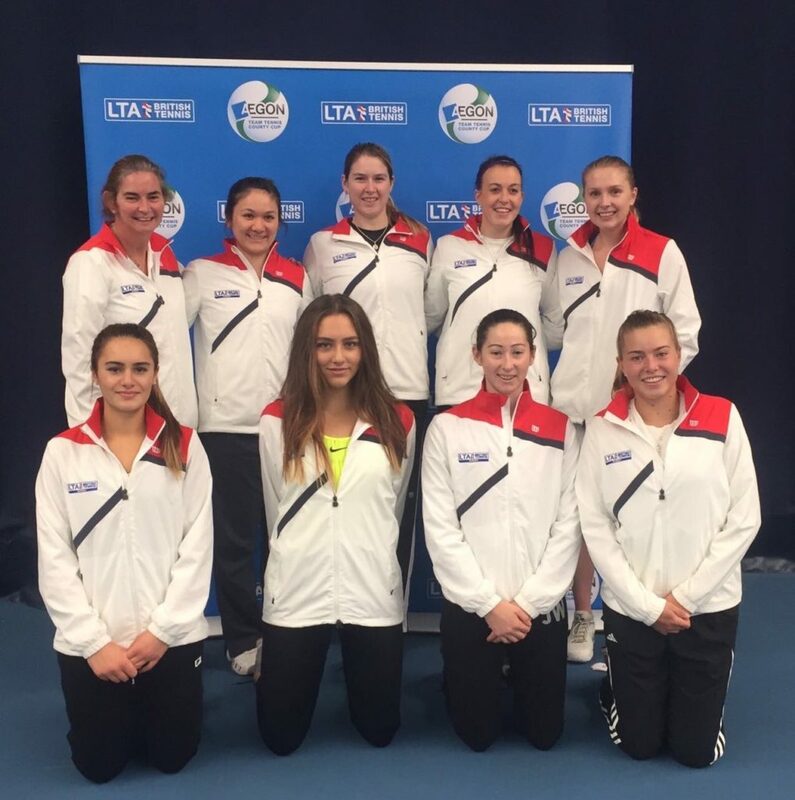 On returning to the UK, Emily headed down to Bath to fill the Number 1 slot in the Surrey Ladies Team who were competing in the Premier Division of the Winter County Cup. With strong completion, the Surrey Ladies fought hard and managed to secure wins over Hertfordshire and Middlesex. The Kent ladies however were on form and took the overall title, with Surrey as Runners Up. However, with the Surrey Ladies making it to the silver medal position and the Surrey Men securing promotion back into the Premier Division, this meant that Surrey won the annual County Cup Race (all age groups) for the second year in succession – a job well done!